His memorial service will be 10:30 AM Friday, April 12, 2019, at the Prophetstown United Methodist Church in Prophetstown with Rev. Mark Meyers officiating. A memorial visitation will be held from 4:00 to 7:00 PM Thursday, April 11, 2019, at the Bosma-Gibson Funeral Home. Cremation rites have been accorded. A graveside committal service will be held at Riverside Cemetery in Prophetstown following the memorial service. A memorial has been established to Rock River Hospice and the Prophetstown United Methodist Church. Barry was born September 3, 1940 in Portland Township, IL, to Ernest M. and Kathryn L. (Ziegenbein) Buck. 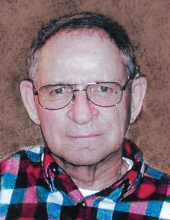 He was educated in the Prophetstown Grade School and was a 1958 graduate of Prophetstown High School. He attended Western Illinois University in Macomb, IL. Barry first married Karen L. Mulcay. He later married Antoinette “Toni” (Giarrusso) Marks on September 3, 1990, in Camp Lake, WI. Barry was employed by Western Electric in Rockford, IL, for 29 years retiring in 1989. He was a member of Prophetstown United Methodist Church. Barry was a former member and past president of the Willow Lake, SD Lions Club. He enjoyed hunting, fishing and golfing. Barry was an avid Green Bay Packers Fan. Survivors include his wife, Antoinette “Toni”; two daughters, Michelle (Scott) Flesher of Cary, IL and Tammi (Michael) Soloway of Lake Zurich, IL; one son, Todd Buck of Crystal Lake, IL; three stepdaughters, Mrs. Kimberly O’Donnell of Gurnee, IL, Nicole (Shannon) White of Streamwood, IL, and Danielle (Brian) Franse of Hoffman Estates, IL; one stepson, Anton Mark of Elgin, IL; six grandchildren; six step grandchildren; and one brother, Ronald (Delores) Buck of Prophetstown. He was preceded in death by his parents and one sister Beverly Olalde. To send flowers or a remembrance gift to the family of Barry E. Buck, please visit our Tribute Store. "Email Address" would like to share the life celebration of Barry E. Buck. Click on the "link" to go to share a favorite memory or leave a condolence message for the family.